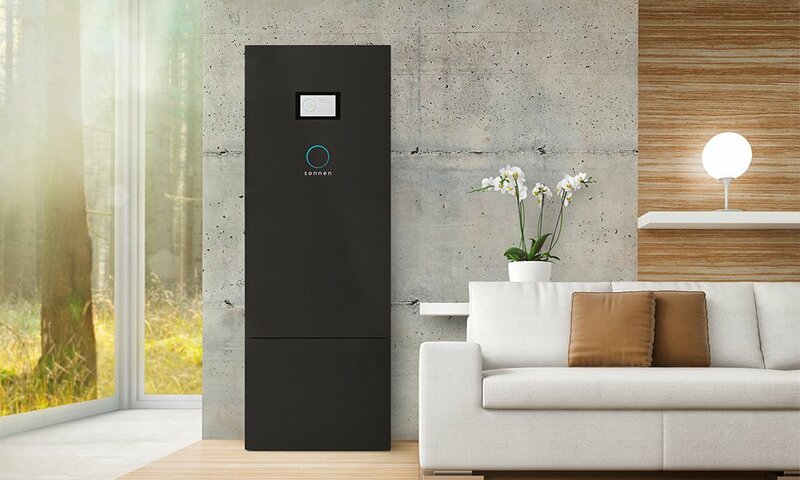 ecoLinx is a sleek, all-in-one smart energy storage system that merges home automation with smart, clean tech to create energy automation. Uniquely, ecoLinx is the only true energy automation solution that integrates with leading home automation systems, smart load controllers, and smart breakers to manage smart homes using clean energy. Revolutionary to both the home automation and clean energy industries, its advanced energy management features monitor and adjust to real-time energy needs without sacrificing real-time comfort. ecoLinx works with new and existing solar systems and is scalable in size from 10kWh to 20kWh storage capacity. Each system comes complete with battery modules, a <70 millisecond automatic transfer switch (ATS), inverter, powerful central processor, sonnen’s intelligent energy management algorithms, easy integration with smart breakers, Control4 and Crestron systems, access to energy usage data via home automation apps, plus balance of systems all in an elegant form factor. Proven as the safest, longest-lasting, and most eco-friendly residential energy storage solution, ecoLinx boasts an average lifespan of over 30 years – 8 to 13 times longer than other typical residential energy storage products. With an industry-leading guarantee of 15 year/15,000 cycles, its standard warranty will outlast that of most other smart home products. By adding smart energy storage to their offering, contractors and builders will differentiate their business with a unique solution that will not only expand their portfolio, but also their customer base. Doing so enhances their reputation as a technology “thought leader” with the most current, cutting-edge technology on the market. This flexible solution allows them to revisit existing customers with a customizable, new technology that will enhance their smart home and lifestyle. The ecoLinx offers significant value to builders, architects, and developers interested in energy efficient homes and carbon neutral living. With regulations such as CA ZNE 2020, net zero homes are rapidly becoming part of the home building landscape, new homes will require renewable energy + energy storage. Beyond net zero homes, sonnen enables builders to create healthy, efficient and carbon neutral communities, where the intelligent solar and sonnen energy storage system installed in each home collaborate to form distributed networks of clean energy, known as the sonnenCommunity. The sonnenCommunity manages and optimizes customer loads, balancing the energy supply and demand on the electrical grid, strategically providing a more efficient use of the grid’s generation and wire infrastructure – creating value for utilities and ultimately financial benefits for builders. Versatility: a completely customizable, clean energy management solution that integrates with solar systems, smart breakers, and front-end home automation systems to power the ultimate smart home. Smart, Configurable Home Backup: integrates with smart breakers and smart load controllers to react to dynamic weather forecasting and keep the home powered during outages using configurable backup scenarios. Smart Load Management: fully manages household energy usage throughout the day. To reduce loads and minimize the amount of energy used during peak periods, customized load shedding/demand control commands activate smart breakers and power-saving scenes using the home automation system.